BusinessCard is beautiful, simple, and elegant in its design – delivering a professional and aesthetic quality that is second-to-none. 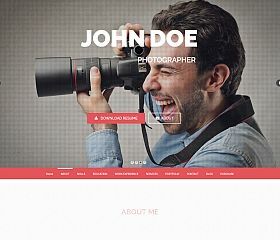 Powered by jQuery, this theme makes the perfect choice to share information about yourself – making it great as an online resume, digital business card, or a place to showcase your projects, work, and skills. 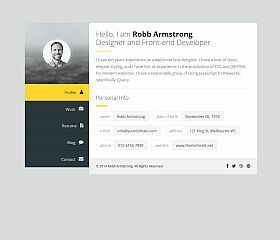 Resume is a modern WordPress theme for resumes, vCards, and CVs. The theme allows you to showcase your online image in style and elegance, with a modern flair and contemporary look that will help you land gigs, jobs, and clients. The full-width layout is , allows you to display information about yourself, a portfolio for showcasing your work, blog section for updates, and a contact form where visitors can reach you. 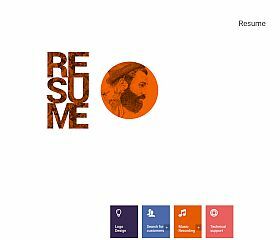 MyResume gives you the perfect way to display information about yourself to create an intriguing and compelling online resume. With a simple and clean layout, visitors can see a snapshot (or more in-depth) overview of your work that can include: your portfolio, experience, education, background, or any number of other items that you feel are important for people to know about you. Premium Layers allows you to easily showcase your accomplishments and skills, while still allowing you to create a full, feature-rich blog or website. Perfect for freelancers, job-seekers, or professionals looking to provide all of their information at a glance – this theme gives you all of the options and customization you could want to tailor the site to your needs. 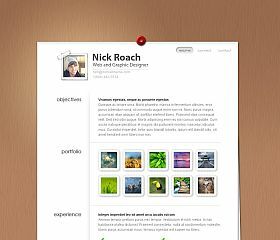 Show off your latest projects, display your portfolio, showcase your resume, or simply establish a personal page. 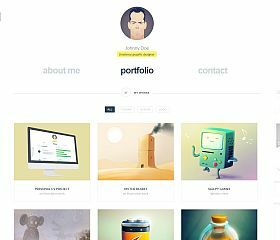 Personal One is a visually-striking theme that can work as a vCard, personal resume, portfolio, and many other types of sites for sharing your work and skill set. The one-page layout allows you to share all of your information at a glance, without the need for visitors to scroll or click through multiple pages to find your information – while the flat-style design, parallax elements, and animations/transitions give you a contemporary and memorable site. 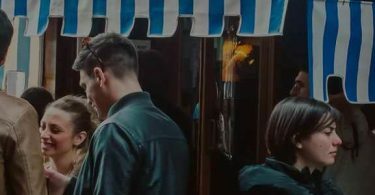 NEW will help you convey a trusting and professional image, with a Retina-ready and responsive design – ensuring that your site looks great no matter what type of device it is being viewed on. Packed full of features like a work/history timeline, portfolio section, skill bars, and more – it gives you an easy-to-navigate design that is both stylish and professional. cvCard WP is a one-of-a-kind flat-style design theme with: testimonials, past or current client showcase, portfolio, services area, social media updates, and blog posts (amongst others). 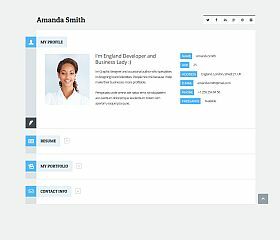 The modern design of the site will give you an up-to-date and contemporary feeling, while the various components allow you to truly harness the full potential of your online resume/vCard. vCard is a theme for those looking to establish themselves online. Simple, elegant, and modern – this minimalistic theme gives you a great way to share some of the things you have done, projects you have worked on, and other information that others might want to know. Special sections incude: a resume, portfolio, contact information, and your basic details like name, email, social networks, etc. 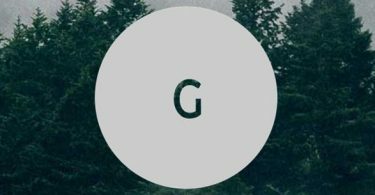 So, you’re interested in setting up a personal site to show off your skills and accomplishments? 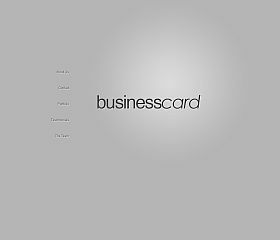 Whether you’re a freelancer, executive, consultant, business owner, or simply looking for employment – there are many circumstances when setting up an online business card (vCard) or resume site would be beneficial. WordPress theme designers and developers have recognized this need and created a wide variety of themes for you to choose from. Ranging from the plain and simple one-page layouts to complex solutions that act no different than a full-featured website – your imagination is your only limit. Here, are a handful of some of the very best vCard (CV i.e. Curricula Vitae) and resume themes for WordPress for you to check out. All of these themes have been hand-picked for their attention to detail, uniqueness, and professional designs – ensuring that your online presence looks as good as possible.